A family friendly and a very festival celebration brought together diverse Multifaith, Multicultural and Community Groups. There was a children's program that included making Peace Day posters, proudly displayed on the main stage. Assembling in the foyer, the guests introduced each other, making new friends or renewing acquaintances before sitting down and enjoying scrumptious, colourful Indian-inspired vegetarian meal. Skilful hospitality radiated from the lectern to make all assembled at ease and smooth proceedings. An inspired welcome to place, people and belonging and how bright a future looks, when we put the past behind us to work, live and play together in a spirit of kinship. A well known Australian performer, Kate enthralled audience with her energy, easy rapport with band in their 2nd public outing and generosity of spirit. A civil-war witness and refugee camp survivor, eventually landed to Australia and set about the task of learning English and building a life. Studying and working as a social worker, his story is shared energetically as a public speaker and creates inspirational reading in his just published book Shining. Accompanied by his daughter, sang from a wonderful array of traditions. 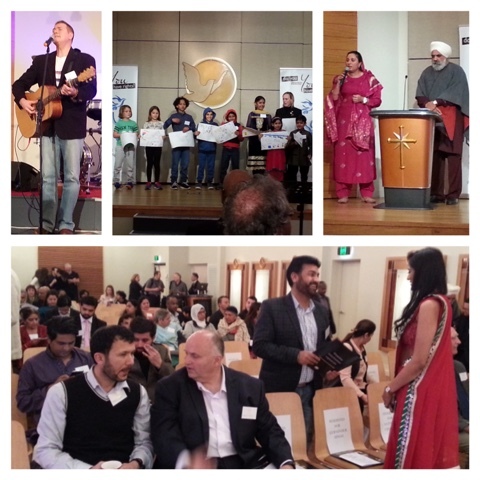 A highlight is a particular song that includes key phrases of peace from many major spiritual traditions. Andrew's wonderful guitar playing and singing through standards old and new were a wonderful world to conclude the official formalities. 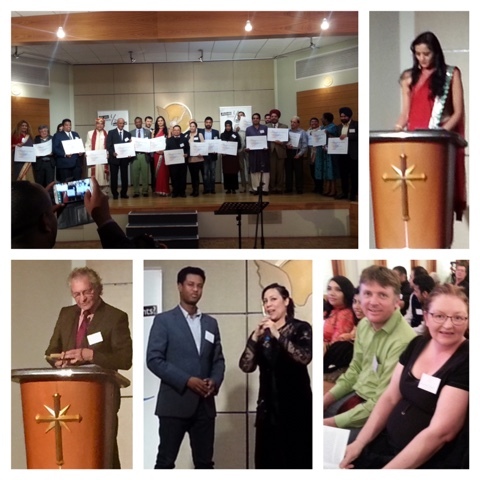 Post-event, guests were invited to take dessert, chat with hosts or with Internal Youth for Peace team. On behalf of Buddhist Council Victoria Interfaith (bINTER) and Glen Eira Interfaith Network (GEIFN), thankyou to Hosts, Guests and Presenters for inspiring demonstration of what peace looks like. A memorable presentation, skilful programming, food and collective pride, received with gratitude.